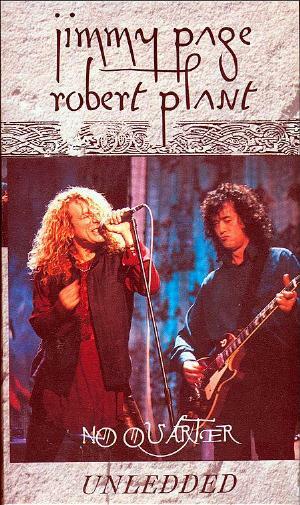 Robert PLANT had been approached by MTV to contribute to their "Unplugged" series, though he felt uncomfortable with the project as he was not sure which material he could use, then Jimmy Page turned up and showed an interest in working with Plant again. They both had a deep interest in North African music from a driving trip in Southern Morocco in 1973, inspiration for the song "Kashmir" on the "Graffiti" album came from this trip, in further years their interest in this music remained and made occasional appearances on Led Zeppelin albums including the intro to "In the Evening" on the "In Through the Out Door" album, and in 1994 decided to develop those ideas further. Their meeting in 1994 culminated in the MTV Unledded DVD recorded in Morocco, Wales and London and the No Quarter album, released on 14th October 1994, which contained some electric though mainly acoustic music with Egyptian and Morroccan musicians and instruments including mandolins and a hurdy gurdy - along with these musicians they went on to complete a very successful tour. The Unledded project helped the pair reconcile their Zeppelin days using less bombastic interpretations of some of their specially selected classic songs - Nobody's Fault But Mine, Thank You, No Quarter, Friends, Since I've Been Loving You, The Battle of Evermore, That's The Way, Gallows Pole, Four Sticks, The Rain Song and a truly amazing version of Kashmir, enhanced beyond measure by the use of innumerable African musicians and the string section of the London Metropolitan Orchestra, these songs interspersed with some new compositions and the African musicians own songs that fitted in perfectly. 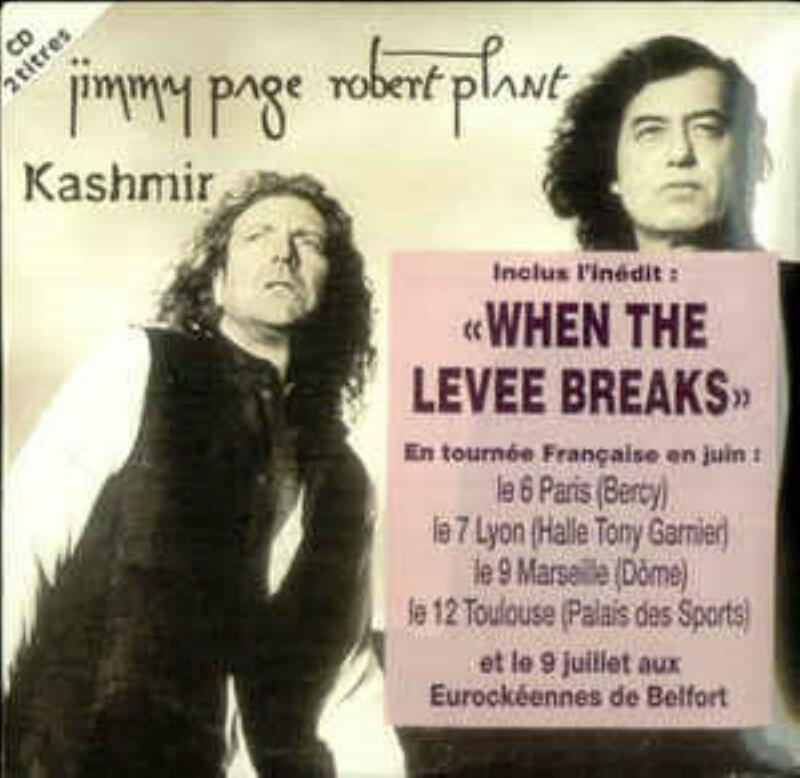 A further album with Jimmy Page in 1998 "Walking Into Clarkesdale" was more rock orientated but included the grandiose North African influenced song "Most High". Sell your JIMMY PAGE - ROBERT PLANT items on eBay ! Well, I guess that after years of haunting Percy, Pagey finally got his will to revive Zep in some sort of way or form, despite Plant's better judgment. Well with the absence of Bonzo, Plant didn't want to use the Zep name, and in all likelihood, this lead into shunning bassist Jonesy, which means that the project bore the Page-Plant name. The project was initiated for an MTV Unplugged show and it evolved into the present shape with an album first than the tour & DVD happening later. And although at the time (mid-90's), I had little interest in Zep's revival, I first went voluntarily oblivious of it, until I caught some of these Zep-classic reworks. And the duo managed to reverse my original opinion that they could only cheapen their heritage and damage their reputation. Well I'm glad to be wrong, because both nthe CD and the DVD are simply quite fine and actually enhance the Zep Legacy. Indeed, working with mostly Plant acolytes as the main other band members (Jones, Lee & Thompson), the group had a younger feel than expected, and the Zep repertoire was solidly rejuvenated through either folkish arrangements (Nobody's Fault, Rain Song, Gallow's Pole, Evermore, , but also different arrangements (Black Dog, No Quarter, Thank You, Levee Breaks, Four Sticks, Friends, etc?) but also two different orchestral adaptations: one being symphonic, the other being more mid-eastern with an Egyptian orchestra (around the end of the filmed gig. But halfway through the concert is interrupted by the duo's pilgrimage to Morocco and whatever musical endeavours and adventures they had there. Rather interesting take on things, and actually those three or four tracks are the only "new material available on this DVD, even if they appeared on the CD first in a different form. The DVD bonus include a Black Dog (forgettable) version of some kind of music award show, a B&W interview of the duo in the centre of London's streets, some explanation about the Moroccan footage, and some other freebie. An extremely well-made DVD that revives the Zep heritage and does it proud without extreme nostalgia that might have cheapened the whole thing. Prog, you ask? Not in the least (although some orchestral arrangements are rather interesting), but that shouldn't stop you to enjoy this excellent reunion project, one that avoided the usual clichés. Throughout the hazy, crazy 70s no matter how frightening, turbulent and worrisome the world situation became the vast majority of the baby boomer generation (I'm a charter member) fully believed that all would be set straight if only the Beatles would reunite and prove to the planet that all we need is love. It got to the point where George and Ringo exchanging grins at a party would spur the rumor mill into overdrive and speculations of secret studio sessions being conducted by the Fab Four in a vault under the Vatican would spread like dandelion spores in a hurricane. In retrospect it was for the best that they didn't get back together because we couldn't have handled it. Only the second coming of our Lord would've been more anticipated/hyped and anything short of the album instigating a mass epiphany would've triggered a musical apocalypse with conspiracy theorists blaming the Trilateral Commission for bribing John and Paul into sabotaging the project via tunes like "Why Don't We Do It in the Disco." Lennon's senseless murder rendered our pipe dream moot but we weren't about to abandon the basic concept. We merely erased the Beatles and penciled in Led Zeppelin atop our wish list and carried on. 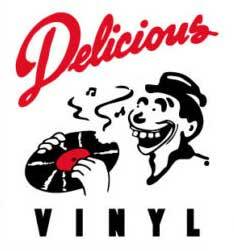 In the 80s, as we cringed over what the malicious, despicable MTV virus was doing to progressive rockers, turning them into desperate dinosaurs and insignificant has-beens, we couldn't help but pray that Page and Plant would re-inflate their metal blimp and cleanse our sacred rock & roll temple of the greedy, spandex-clad merchants like an angry Messiah. Alas, it didn't happen and quality hard blues/rock, along with prog, became the mud-caked doormat of the 80s scene. Credit them for having the wisdom not to tackle that Herculean task because no matter what they would've concocted (with or without the help of Mr. Jones) it wouldn't have been an adequate antidote for the debilitating "it's better to look good than to sound good" disease that, ironically, had so cruelly disfigured the face of modern music. Most likely Zep's glorious legacy would've been irreversibly stained. Eventually the clamor for a resurrection fizzled out so when Robert Plant was approached to do an "unplugged" gig in the early 90s and he turned to Jimmy Page for assistance expectations were much more realistic. Their casual soundstage collaboration went well and led to them participating in some limited touring and studio work. 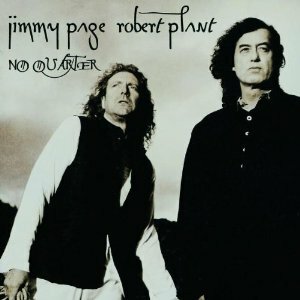 The ultimate result was the 1994 release, "No Quarter: Jimmy Page & Robert Plant Unledded." The stark black and white photo of the two stoic stars adorning the CD cover dispelled at a glance any notion that they were trying to exhume Zepmania. What they were presenting was an honorable yet virile tribute to their achievements while offering their loyal fans three unpretentious new songs to chew on. No "greatest hits" package this, they put together a lineup of tunes that reflected their personal preferences rather than classic-rock radio's and the listener is the lucky beneficiary. They start out with a drone and a downbeat for a terrific rendition of "Nobody's Fault But Mine" wherein Jimmy's chiming 12-string acoustic guitar and Porl Thompson's banjo turn this former barnburner of a tune into a stripped down example of what might be considered Moroccan Delta blues. Robert's voice is in excellent form (not only here but throughout the album) and the tide-like groove they lay down is irresistible. With this unexpected treat they not only declare their independence from the past but also shoo away those who were itching to raise their lighters for the millionth run-through of "Stairway to Heaven." The only number they perform note-for-note is "Thank You," probably because they couldn't improve on perfection. Page's solo, spat out in his inimitable herky-jerky style, stands in juxtaposition to the song's smooth sentimentality. They then take liberal liberties with "No Quarter," one of their proggier compositions, sending the rest of the musicians backstage and playing it as an unaccompanied guitar/vocal duet. But sparse it ain't as their tactful use of various effects fills up the empty spaces, creating a cavernous envelope around them. Time has greatly improved my assessment of Zep's third LP and I can now better appreciate the subtle progginess lurking in tunes like "Friends." After an eerie opening by their backing symphony (tagged the Egyptian Ensemble) the song's dreamy, string-driven melody line proceeds to mesmerize completely and I admire the way Plant takes chances with his voice. A new one, "Yallah," follows and it begins with what sounds like Robert announcing in Arabic the equivalent of "Attention, shoppers, don't miss the pork loin for only $3.99 a pound in the meat department!" Consisting mainly of a repeating guitar riff layered over marketplace babble and Plant's melodic rapping, it's nothing to write home about but Jimmy does coax some nasty but intriguing growls from his guitar midway through. "City Don't Cry" is a slight improvement. It's remarkably Peter Gabriel-ish with its deadened- string percussive pulse and African group chants that make Robert's strange wailings seem fitting and appropriate. "Since I've Been Loving You" is one of my all-time favorite Zep tracks and this live recording is as fine as the original ever was. Page shines brightly as he plays with powerful emotion, the orchestral strings are sublime and drummer Michael Lee does a fabulous job of conjuring up John Bonham's indomitable spirit from beginning to end. In this era of his career Plant had yet to lose a step and he belts out every agonized scream like he was 19 again. This burns like diesel fuel and it's nothing less than sheer greatness. After another clever, exotic intro they slide into one of their brave forays through the land of prog folk, "The Battle of Evermore." Robert and Najma Akhtar intertwine their voices splendidly and they soar like eagles. "Wonderful One" is the most involved of the trio of new compositions (it has a bridge section) but the ringing steel drums roiling beneath Jimmy's thick chording remind me of noisy sanitation workers collecting garbage at 6:00 in the morning. Annoying. On "That's the Way" (LZIII is well-represented) the 12-string acoustic and banjo carry the weight of the verses, then the full band joins in on the choruses. The excitement they convey beats the pants off the studio take, making this simple tune much more engaging. The fevered "Gallows Pole" is flat-out amazing. From its humble start with guitar and vocal it gradually builds in tempo and intensity until it floods the concert hall with a joyous throb that can't be ignored. But they ain't done yet. A legion of drums make "Four Sticks" HUGE and they drive this steamroller like they're racing at Indy. (Play it LOUD for maximum impact.) The symphonic score is gargantuan and the energy generated is phenomenal as middle-aged Robert stands up to the vocal challenge the tune presents. Anybody else would say goodnight at this point, pull an Elvis and leave the building but they actually take it up a notch. After a fog-machine introduction Plant warbles a few wild calls to bow towards Mecca and then they unleash a full-blown "Kashmir" extravaganza that scorches the room. (Kudos to the engineers for capturing this incredible performance with impeccable fidelity. The whole CD sounds astonishing.) P&P toss in some sly kinks to freshen up the arrangement, too. The simmering violin break in the middle leads to dynamic accents not heard on the overplayed studio version, multiple drums add a wider dimension and the creative ending is awesome. Who could ask for more? If you are or have ever been a fan of Led Zeppelin this is a must-have. If you only know them as the guys who wrote the rock & roll ditty heard on Cadillac commercials when you were growing up then this CD will demonstrate why they so richly deserve to be labeled progressive pioneers. Like all great proggers, they played and composed what they wanted without regard for what their label thought they should be doing and their audience found them. What they accomplished here, a decade and a half down the line, is one of the most impressive of feats: A reunion that didn't just work, but was truly extraordinary and worthy of high praise. 4.4 stars. This is a review of the original release of the CD. Apparently there is a reissue from 2004 with a slightly different set list. This CD is a collection of songs from MTV's "Unledded" broadcast (also released on DVD) which reunited Jimmy Page and Robert Plant, with different musicians in London, Wales and Morocco. The majority of the songs are Led Zeppelin tunes, as you would expect. Three songs are new, the best being City Don't Cry, a very nive piece with African rhythms. Of the Zep songs, a few are very similar to the original recordings, but the best are the ones that have been rearranged. No Quarter is great as mostly a guitar/vocal duet. Four Sticks played acoustically is great. And Kashmir, with Middle Eastern orchestration is just astounding. It's also good to hear that Plant has pretty much kept his voice, unlike some of the other screamers from his time (yes, I'm looking at you, Rod Stewart and Roger Daltrey). Well I reviewed the DVD of this historic reunion event, so you might want to head on over that page to read up my drivel, but of course, this was the original album that made history, so it deserves some attention as well. Of course the original album is presented in a fairly different track order than the concert DVD and it is quite a bit shorter - three tracks are missing: Rain Song, What Is and Truth Explodes - but then again most tracks are in fairly different version than on the DVD. So I'll mainly discuss the three "Moroccan" jam tracks (all vastly expandable? Brian Jones did better 28 years sooner) and the Wonderful One, which seems like the only real new composition for the project. So if one had to choose between the present album and the DVD, it doesn't make the shadow of a doubt that the full concert wins hands down, but it shouldn't deter you from lending an appropriate ear to the original release, the one that made the significant impact over a year before the DVD release. After the great success of "No Quarter", Page and Plant took their reunification further with a collection of new songs in the form of "Walking Into Clarkesdale", released on 21st April 1998 on Atlantic with indie rock Producer Steve Albini, a heavier, bluesier affair, Clarkesdale being in the spiritual home of the Blues the Mississippi Delta. The album gives one an idea of what Led Zeppelin could have sounded like had they stayed together, includes more Eastern style songs most notably "Most High", a very dramatic show stopper of a song with full African orchestra as on the "No Quarter" album, but the opening song "Shining in the Light" is a more Country Rock affair, with strumming guitar and Mellotron accompaniment, and familiar Page style riffs and power chords. The following song "When the World Was Young" takes an emotionally loud-soft-loud look at the past, followed by the Zeppelin style "Upon a Golden Horse " complete with complicated time signatures, infectious heavy riffs and heavily layered keyboard passages, the closest the pair may have got to recreating the traditional Zeppelin sound. The softer "Blue Train" is cited as another tribute to the memory of Plant's lost son Karac, and "Please Read the Letter" was reworked with Alison Krauss on the later hugely successful "Raising Sand" album in 2004. As mentioned "Most High" is one of the most standout tracks, the title track "Walking Into Clarkesdale" is a Country Blues rocker as is "Burning Up" , "When I Was A Child" Is another slow paced emotional recollection of the past, leaving fast rockers "House of Love" and "Sons of Freedom" to finish the album, with characteristically raucous sounding production from Steve Albini. Page actually had another album of songs demoed, some of them really good according to Robert, so they may even see the light of day in the future hopefully. Japanese copies of the album included the song "Whiskey from the Glass" as a bonus track. 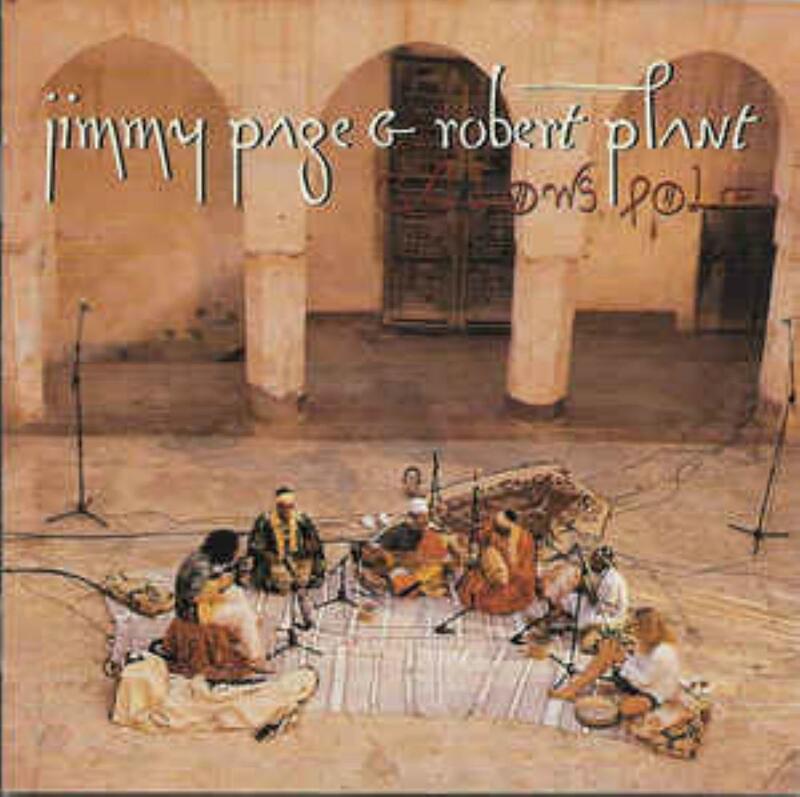 A long awaited reunion between Page and Plant occurred in 1994, with the realization of their shared interest in Egyptian / North African music culminating in the MTV "Unplugged" DVD and "No Quarter" album, released on 14th October 1994, acoustic music including North African musicians and instruments, and mandolins and a hurdy gurdy along with an orchestra of North African musicians they continued to do a tour. This project helped the pair reconcile their Zeppelin days using less bombastic interpretations of some of their specially selected classic songs - "Nobody's Fault But Mine", "Thank You", "No Quarter", "Friends", "Since I've Been Loving You", "The Battle of Evermore", That's The Way", "Gallows Pole", "Four Sticks", "The Rain Song" and a truly amazing version of "Kashmir", enhanced beyond measure by the use of innumerable African musicians and the string section of the London Metropolitan Orchestra, these songs interspersed with some of the African musicians own songs that fit in perfectly.